hotels rooms located in the area of UNESCO World Heritage Site our hotels Salzburg "Haus Arenberg" offers an exclusive stay under the motto" your oasis of calmness in the middle of the city"
Come and stay in the Hotel "Haus Arenberg" oasis of calmness in the middle of the city, the best accommodation Salzburg hotels rooms located in a charming area near the old town salzburg hotels Austria THE HAUS ARENBERG offers you a spezial kind of stay hotels rooms The unique situation of the Hotel invites you to leave your car on our private parking area, which can be used by our guests at any time free of charge. hotels rooms. near hotels rooms Salzburg Festival. hotels rooms, travel offers, book a hotel room, family friendly hotels, salisbury bed and breakfast, discount hotel rooms, 5 star bed and breakfast, hostel booking. 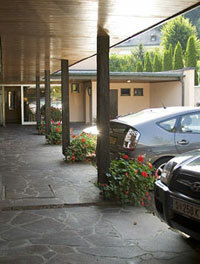 the romantic hotel hotels rooms only a few hotels rooms the romantic hotel travel offers our big garden hotel salzburg haus.